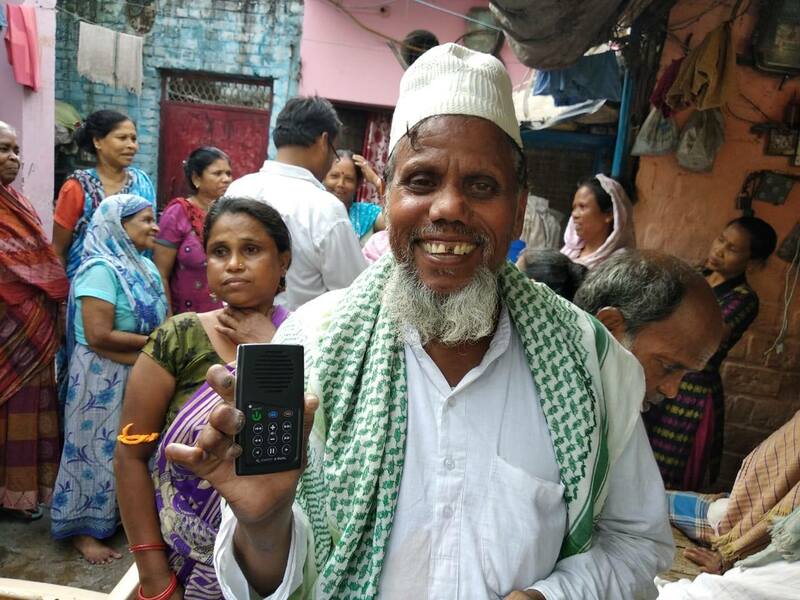 India (MNN) – India is home to more unreached people groups than any other nation, and the numbers of unengaged people will continue escalating according to World Mission’s Greg Kelley. “Within the next 20 years, not only will it be the most populated Hindu country in the world, but it will simultaneously be the most populated Muslim country in the world,” Kelley says. Kelley says it’s difficult to engage Hindus in India with the Gospel because there are thousands of villages with no Christian presence. However, World Mission has established their work by engaging through different projects including starting water projects, giving their solar-powered audio Bibles, the Treasure, and establishing churches in remote communities. 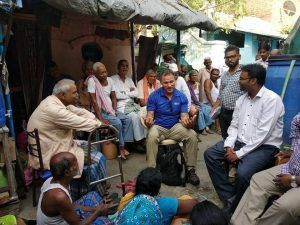 Kelley recently visited national partners and communities in India and shares there are many stories of people coming to Christ through these projects. For example, World Mission national partners met a woman who had been bed-ridden for ten years due to a disease that had no medical treatment. One of the partners distributed Treasures in her village in the Hindi language and God healed her. She became passionate about God and continued listening to the Treasure. As a result of her testimony and witness of God, 300 people in her village were moved and gave their lives to Christ. Even now, “she is using the Treasure to disciple people and raise people up and this is less than a year that she’s known the Lord,” Kelley says. Kelley shares another story from when he recently visited India. He went to a leper community. World Mission distributed Treasures among the community, shared the Gospel, and told them God loves them. Finally, World Mission visiting different Indian communities and drilling wells and distributing water filters that last up to three years. Kelley says there’s plenty of surface water like rivers in India, particularly in the rainy season. 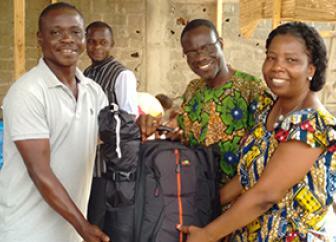 This opens opportunities for World Mission to address physical and spiritual needs. Part of World Mission’s strategy is to drill wells, distribute Treasures, and establish a new Church next to the well. In one village, there is a Hindu priest authority. The only known Christian in the village is his son. “We have a tremendous opportunity to put a water well in there and to establish a Church because this [son is] being discipled and mentored by our leadership team,” Kelley says. World Mission is currently bringing Treasures into the community, and they are praying that the Hindu priest would come to know Jesus as his son has. Right now, World Mission has a vision to drill hundreds of wells in India so they can share the ‘Living Water’ with villagers. Help support water projects and Treasure distributions here. Also, pray for World Mission’s national partners who are facing a rise in persecution. “There’s a lot of local authorities that are Hindu that have been empowered and emboldened to really persecute Christians and make sharing the Gospel very difficult,” Kelley says. Partner with World Mission by supporting their work in India through prayer and giving. Support World Mission’s work in India. Pray for World Mission’s national partners who are facing a rise in persecution.